So, when she backs into a shiny new BMW sports car belonging to the charming Angus Day in Tesco's car park, she not only blames him for the accident but distrusts him on principle. 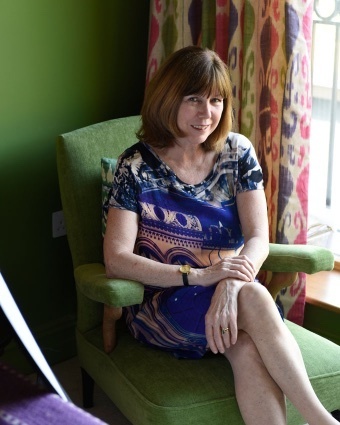 Worse than that, she discovers the reason Angus can afford his BMW is that he's a property developer. All the same, there's something about him and she very nearly succumbs one New Year's Eve when the moon is full and the bottle's empty - but fortunately at this point she meets Luke. easy reading and not as predictable as I thought it was going to be. This is the first book that I have read of Maeve Haran's which I have read, and it won't be the last. The author is one of what I think is a rare breed. A big cast of central characters has been introduced to the book, and by the end of the novel you feel you know them all like they were friends of yours or that you can relate to them in some ways, to me this is one of the ingredients that a good read/book needs to have. Amanda, Clio, Sean, Angus and Isobel's characters are wonderfully written. The setting of the book sounds as if it would be somewhere that I would up sticks and move to tomorrow. I would definitely recommend this novel to anyone and would read more of this author's in the future. This is the first book that I have read of Maeve Haran's which I have read, and it won't be the last. The author is one of what I think is a rare breed. She can introduce quite a big cast of central characters as well as the main ones to the book, and you feel you know them all like they were friends of yours by the end of the novel. Amanda, Clio, Sean, Angus and Isobel's characters are wonderfully written. 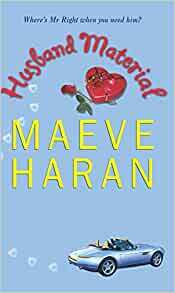 This was the first book by Maeve Haran that I have read and I was engrossed from the first page and did not want to put the book down. It is definitely a feel good book. The characterisation is brilliant and you really feel you know the characters, especially Clio. I thoroughly recommend this and I am now tracking down all her other books! 3.0 out of 5 starsLightweight. What one might call "airport reading". Characters lack depth and the relationship between Amanda and Clio is a little improbable. Most mothers of sixteen year olds would not have reacted as Amanda did when Clio feared she was pregnant.